Vice President Mike Pence is greeted by McAllen Mayor Jim Darling, left, upon arriving at McAllen-Miller International Airport on Air Force Two Friday, Feb. 16, 2018, in McAllen, Texas. 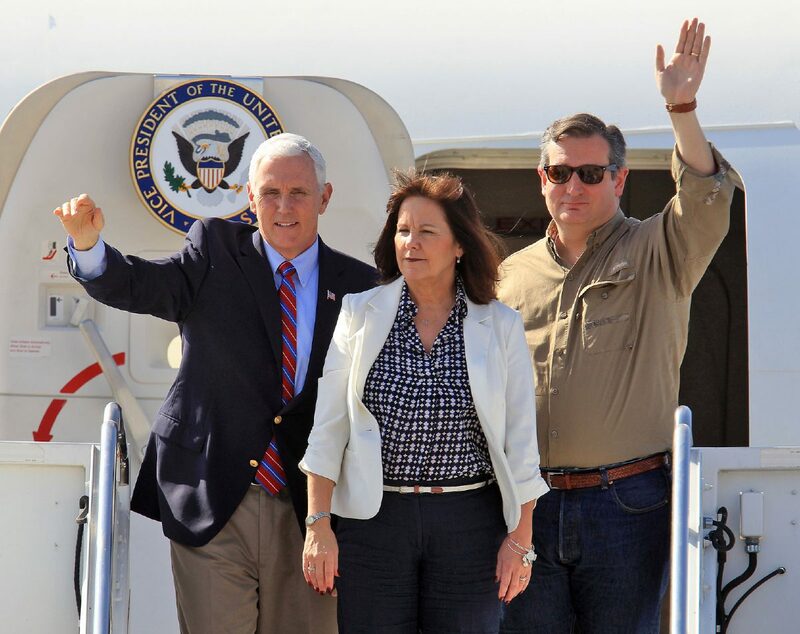 Pence was joined by his wife Karen Pence and U.S. Sen. Ted Cruz for a tour of the U.S.-Mexico border in the Rio Grande Valley. On Feb. 16, Vice President Mike Pence made a four-hour visit to the Rio Grande Valley. It is always an honor to have our state and national leaders visit our region. However, it seems that the visits have only been focused on border security and the photo opportunity that comes with a tour of the Rio Grande on a boat, or walking along the existing border wall. As a South Texan, I am proud of our region but I am disappointed that, too often, these dignitaries fail to take the time to learn more about the things helping South Texas thrive. 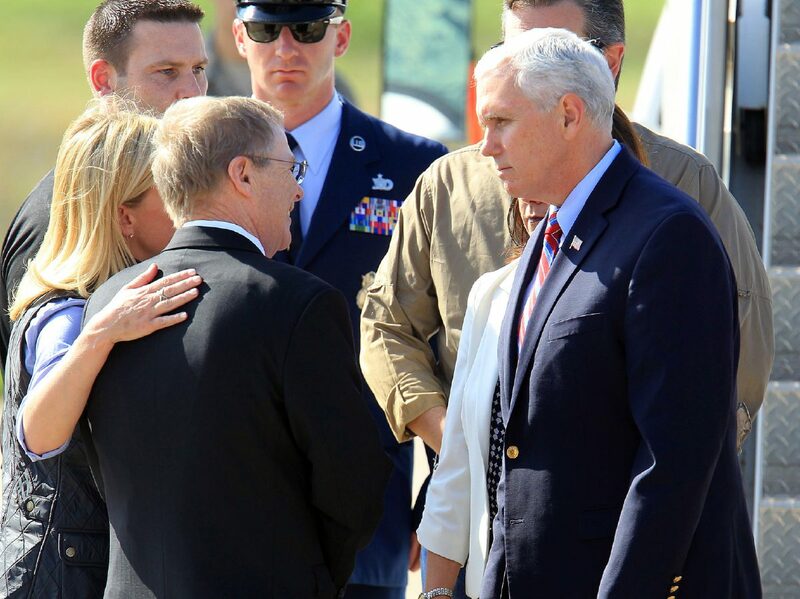 What’s more, Vice President Pence, along with Homeland Security Secretary Kirstjen Nielson, only heard from U.S. Customs and Border Protection personnel, and a few other local law enforcement officials, to help them form their impressions of this region. While I agree that getting the opinion of our hard-working and dedicated law enforcement officials is beneficial, I also believe it is important to meet and listen to business and community leaders about their thoughts and concerns regarding border security — including those of us who live, shop and send our children to local schools. We do not support open borders and we, as a nation, have the right to define and defend our border. Otherwise, we lose our identity as a nation. However, we should be smart about how we accomplish this common goal. Border security should not overshadow border trade. 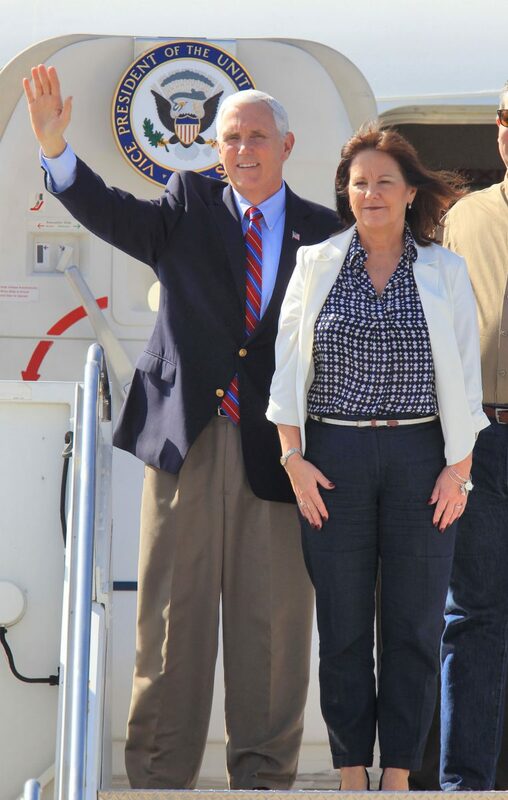 With his wife Karen Pence by his side, Vice President Mike Pence waves from Air Force Two upon landing at McAllen-Miller International Airport on Friday, Feb. 16, 2018, in McAllen, Texas. The vice president was in the Rio Grande Valley Friday for a tour of the U.S.-Mexico border. U.S. Sen. Ted Cruz gestures along with Vice President Mike Pence and his wife Karen Pence on Air Force Two Friday, Feb. 16, 2018, in McAllen, Texas. They had just landed at McAllen-Miller International Airport for an operational tour of the Rio Grande Valley, specifically the U.S.-Mexico border. A smart plan requires cooperation, coordination and consultation with those closest to the people we represent. In this case, President Donald Trump and Vice President Pence would benefit from a comment made by Gov. 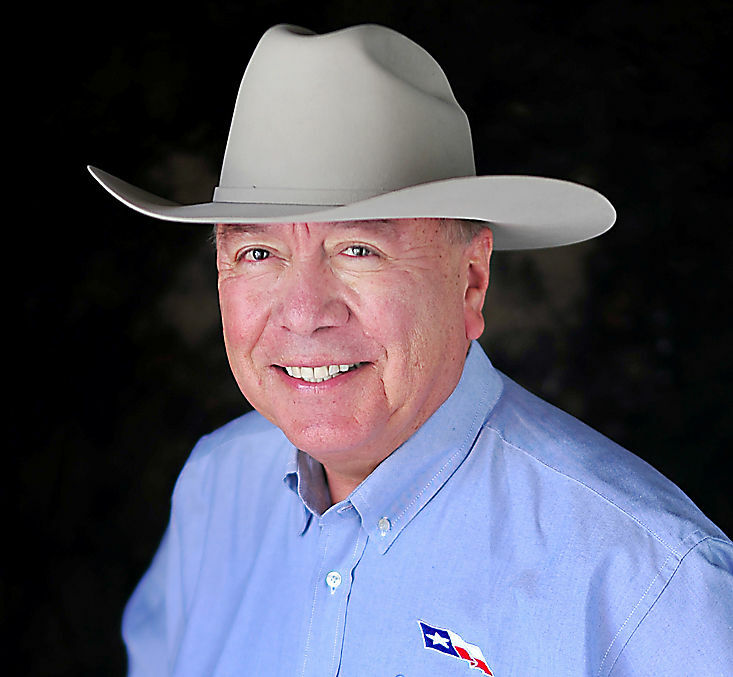 Greg Abbott that border security should be balanced with Texas’ economic interests and that “we want to achieve safety and security, but we also want to promote economic development.” Our Valley legislative delegation and our local elected officials all agree with this point. As our national and state officials visit our border communities, they should be learning about the relationship we have established with our border neighbors. Mexico is Texas’ largest trade partner and many of our communities have facilitated cross-border manufacturing operations and distribution centers that have created jobs and helped our economy. In fact, trade with Mexico directly and indirectly generates over 382,000 jobs in Texas. Any smart border security plan will take this into account and should include funding for our border infrastructure so that we can efficiently move both commercial and passenger vehicles through our international ports of entry. For many years, our state has appropriated billions of our taxpayer dollars to defend and protect our border. Just this past session, the Legislature appropriated $800 million for this purpose. Many of the items funded were based on needs and recommendations made by local law enforcement and community leaders. Our state and local leaders are knowledgeable and understand the challenges of securing the border and it would be beneficial for President Trump, Vice President Pence, and their Homeland Security team to hear from us who live in the Rio Grande Valley — and are not solely involved in law enforcement. Visiting South Texas for discussions on border security should not be just a photo-op, and it should not be limited to one topic. Our local congressional and state legislative delegations, along with other community and business leaders, are willing and able to help President Trump, his administration and Congress, make informed decisions as it relates to border and economic security.